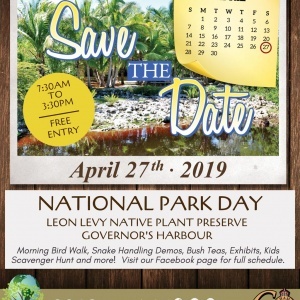 Abaco, Bahamas – With all of the successful breeding seasons in recent years, the Bahama Parrot is thriving in Abaco, causing the Bahamas National Trust (BNT) to install six Parrot Crossing signs on the Ernest Dean Highway, between Croosing Rocks and Sandy Point communities. The BNT has been conducting surveys in both Abaco and Inagua on the Bahama Parrot populations, for the past ten years, and the surveys have been showing that the populations are bouncing back. 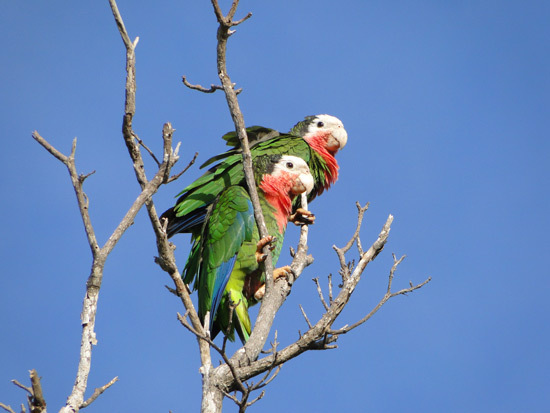 The Abaco population is unique because it is the only ground-nesting parrot in the Western Hemisphere; and it is also the only parrot in the world that has adapted to fire. 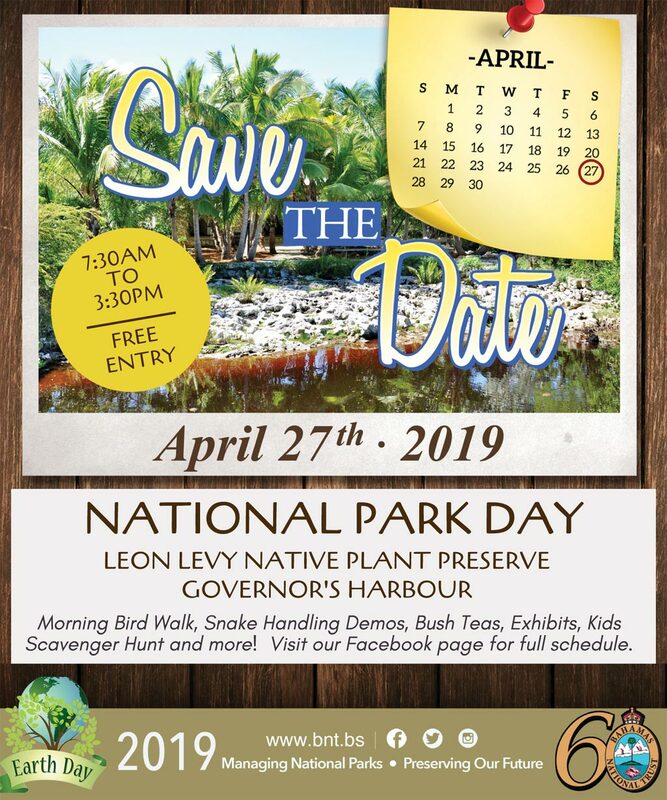 The BNT team in Abaco is thrilled that the number of parrots on the island are increasing and proud that they have been able to install these signs due to high numbers of parrots. 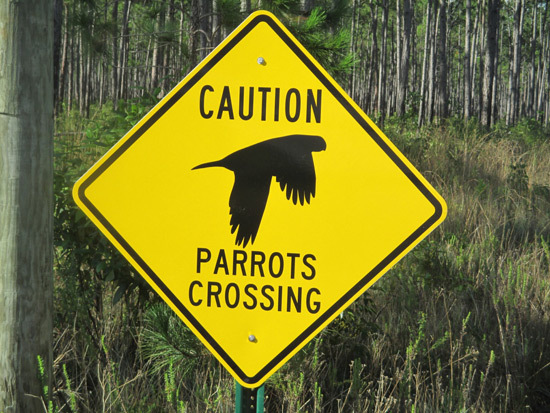 The parrots regularly fly across the highway, and hopefully the new signs will make drivers more careful. With drivers and parrots using the highway in harmony, hopefully the number of parrots on the island can continue to grow. The Bahama Parrot was once found on seven islands, but now can only be found on Abaco and Inagua which has led to the protection of the parrots under the Wild Birds (Protection) Act and the Convention on International Trade in Endangered Species (CITES). It is illegal to harm, capture or offer this bird for sale, and if anyone is caught doing so they can fact a significant fine or jail time. 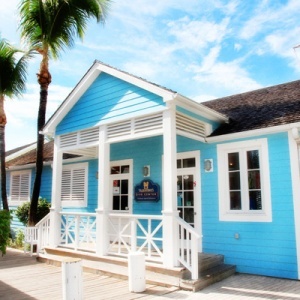 The breeding area of the parrot in Abaco is protected in the Abaco National Park, which was created in 1994.